Posted in: Latest Blog, Music. There’s always a touch of deja vu about going to gigs when you get to my age, particularly when seeing a band again that you first saw many years ago. But it’s unusual when a set from a new band revives memories of another gig from fifty years ago. 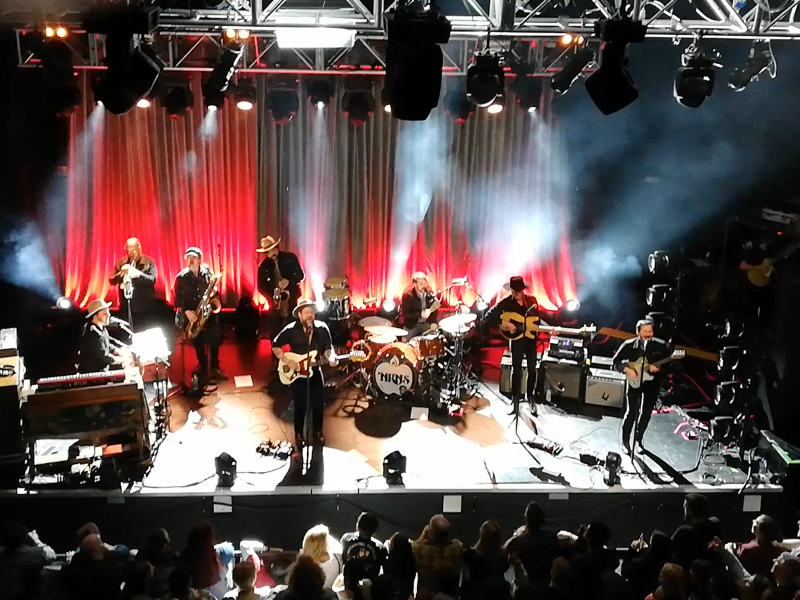 Such was the case with Nathaniel Rateliff & the Nightsweats at the O2 Academy in Bristol last night. Their latest album, Tearing at the Seams, featured high in my 2018 Album of the Year review, so we have been looking forward to this gig, and they did not disappoint. The album, on the Stax label, brought back memories of bands from the sixties who graced this fabulous brand, and that sound was here in spades, perhaps with a hint of Van Morrison in places. Seeing all eight of them on stage complete with horn section and a genuine vintage Hammond, rotating speaker box and all, recalled the UK soul bands that made a brief appearance during the mid-sixties – I recall one from Bristol who I think were called the West Coast Showband that we saw around the area at small venues. Back in the summer of 1969, the world’s eyes were on just one thing – the moon – awaiting the first man to set foot there. Around the same time, a haunting song began receiving airplay telling the story of a stranded astronaut, Major Tom, sitting in a tin can far above the moon and musing that planet earth is blue, and there’s nothing I can do. This was my introduction to David Bowie and, along with thousands of others, I bought the original mono single – although not enough of us did so to get it too far into the top twenty. It eventually made the grade six years later and topped the charts as it really should have done at the time of its genesis. Posted in: Music. Tagged: bath, cliches, epitaph pt ii, i would love, joe probert, leave the dark low, len liecthi, made us gold, old theatre royal, sail on (summer breeze), sam eason, the peasant poet. 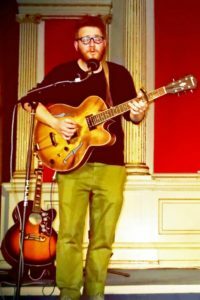 I first came across Sam Eason a couple of months ago when he supported Scott Matthews at the Colston Hall in Bristol, and was really impressed with his short set. So when I saw a poster for Sam Eason & Friends at this super venue, I decided to pop along last night to see how he would be as a headliner. At the Colston Hall, he performed his own songs with a friendly and relaxed air. He quickly built a good rapport with his audience, raising a smile with his occasionally self-deprecating little links between the songs. 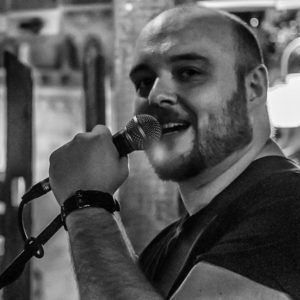 Armed with acoustic guitar and looper, his music is very much in tune with the current crop of singer/songwriters, with observations on life and love, told from the viewpoint of an observer who appreciates the lighter side to life. He was joined there for the last two songs by his wife, Beth, whose harmonies fit his vocals perfectly, and it is easy to see where the inspiration for his uncomplicated love songs comes from. Posted in: Music. Tagged: bath, Festival, Fringe, gig, hidden gem, hidden gems, letting go, Matt Cook, old theatre royal, Sarah Siddons, thatguywesawlastnight. The problem with Arts Festivals is they are a bit like grapeshot, lots of up-and-coming performers taking their opportunity to put themselves in the limelight at small venues around a town, but ultimately competing against larger heavily-sponsored events. Which is why, as a festival-goer, it sometimes pays to ignore the big-banger ‘do’ that is advertised weeks ahead on every billboard, and look instead for that potential hidden gem. Which is how I found Matt Cook at the Bath Fringe last night. The Old Theatre Royal in Bath is another hidden gem. It is tucked down a quiet cobbled side street behind Marks & Spencers’ loading bay, so you would be lucky to stumble across it. It is also quite an anonymous building that has been the local Masonic Hall for nearly 150 years, but originally came into being as the City’s first purpose-built Theatre in 1750, becoming the inaugural home of the Theatre Royal company in 1768. The original auditorium space, along with its superb acoustics, still exists and is the part used for their annual series of Festival gigs. As a spectacle, this year’s Brit Awards maintained the recent high standards, particular the stunning visual effects. But somehow the show has become too contrived, lacking any spark of spontaneity and leaving me wondering at times if the 1989 nadir of Sam Fox and Mick Fleetwood really was as cringeworthy as some of the table set-ups we get these days. All of my Blogs on other subjects will continue to appear on my website: morethanmyblogsworth.com.